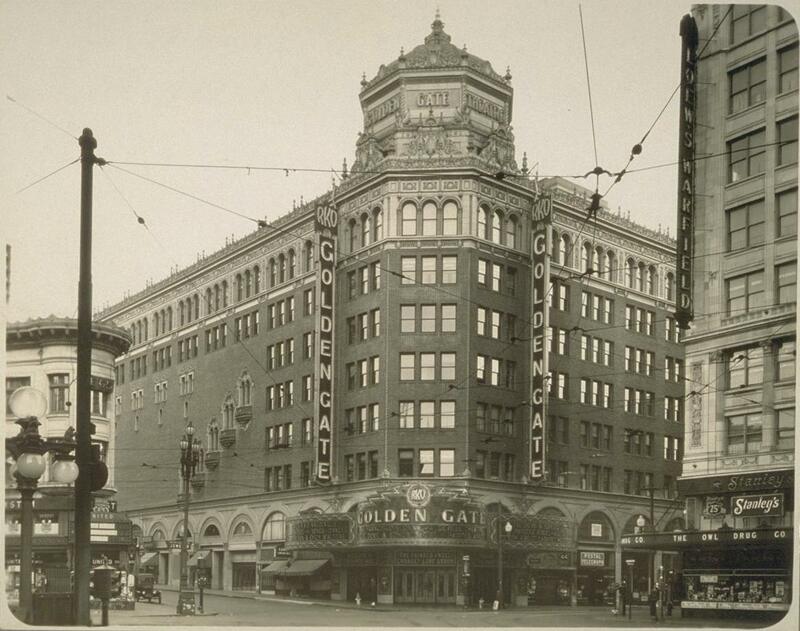 August 2, 1933: “The Gumm Family” opened a week-long engagement at the Golden Gate Theater in San Francisco, CA. 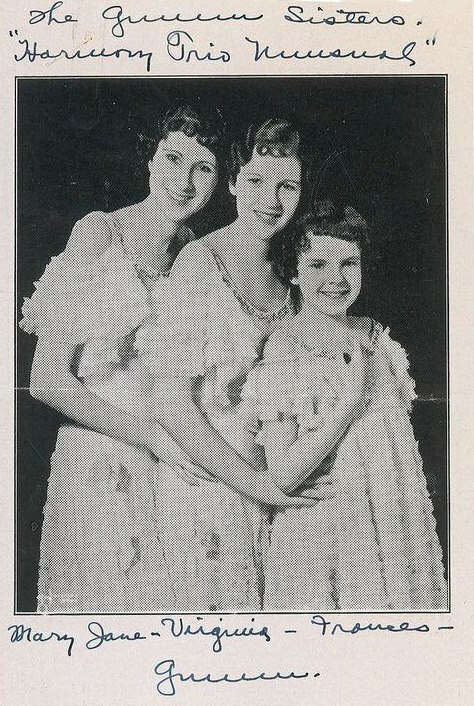 Judy’s father, Frank, opened for “The Gumm Sisters” (Judy and her two sisters) while mom Ethel played piano for the act. 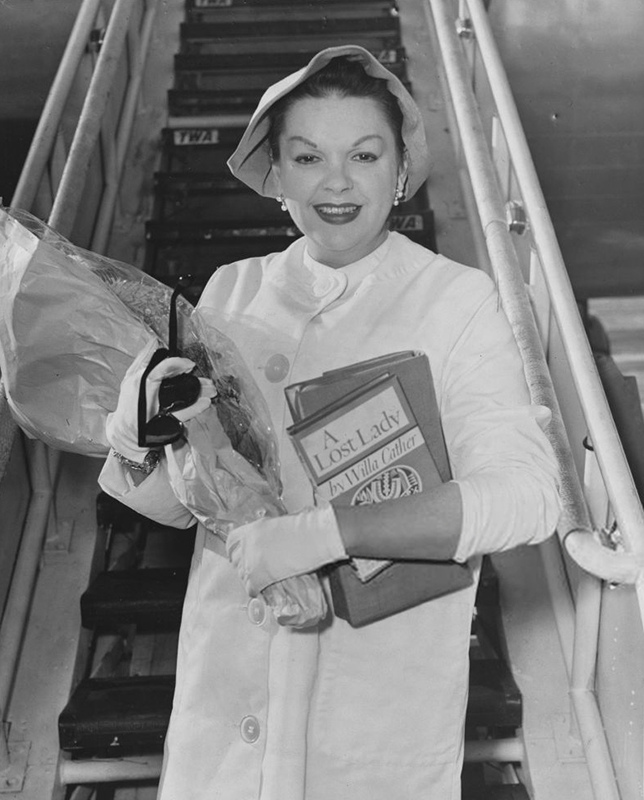 The trade paper “Junior Professional” was kinder, saying of Judy: This remarkable tot has twice the charm and genuine ability of all the [child movie stars] put together. 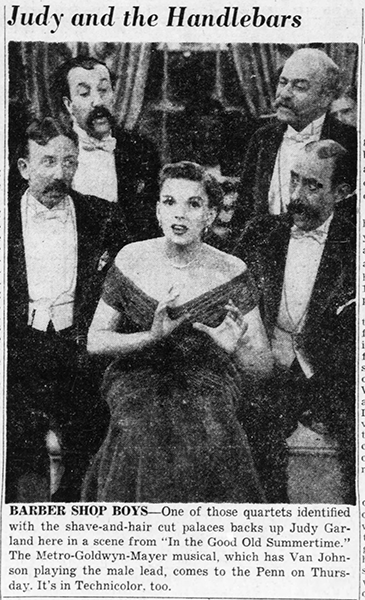 “The San Francisco Chronicle’s” George C. Warren also raved, stating that the act had “a strong-voiced small woman, who imitates in a big way.” This is the first indication (in print) that Judy’s voice was becoming the far more mature than her years (11-years-old) to the point that someone might mistake her for a woman. 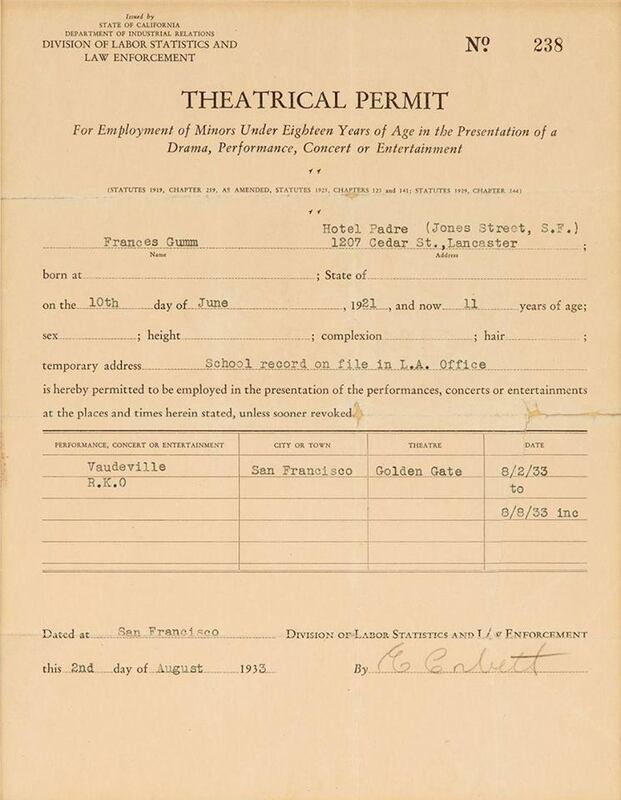 Photos: The theatrical permit for this engagement shows that the family stayed at the “Hotel Padre” which is still there, at 241 Jones Street, in San Francisco. 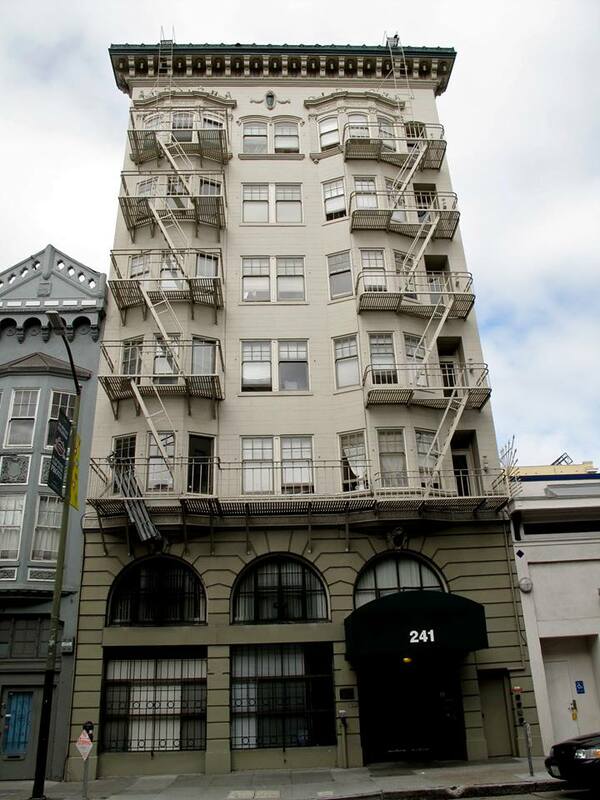 It’s an apartment complex today; Studio shots of the sisters in 1933; The Golden Gate Theater as it looked during the time the family played there, and how it looks today, and the hotel as it looked in the 1940s (earliest photo I could find of that building) and today. Also on this date, Judy’s ninth appearance on Frank Morgan’s limited series of 15-minute shows. Little is known about these shows outside of what the newspapers tell us, which do not include the actual contents, just schedule listings. No recordings are known to survive. 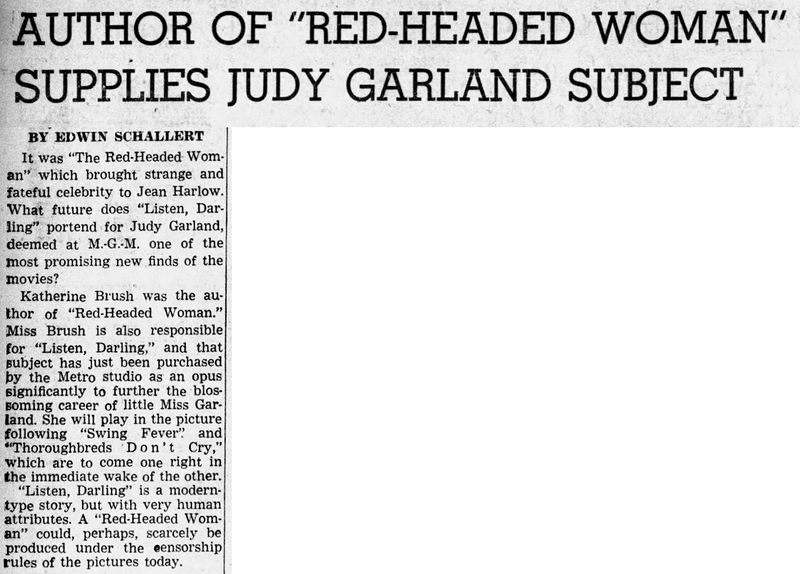 August 2, 1937: The author of the hit Red Headed Woman starring Jean Harlow, Kathrine Brush, also provided Listen, Darling. 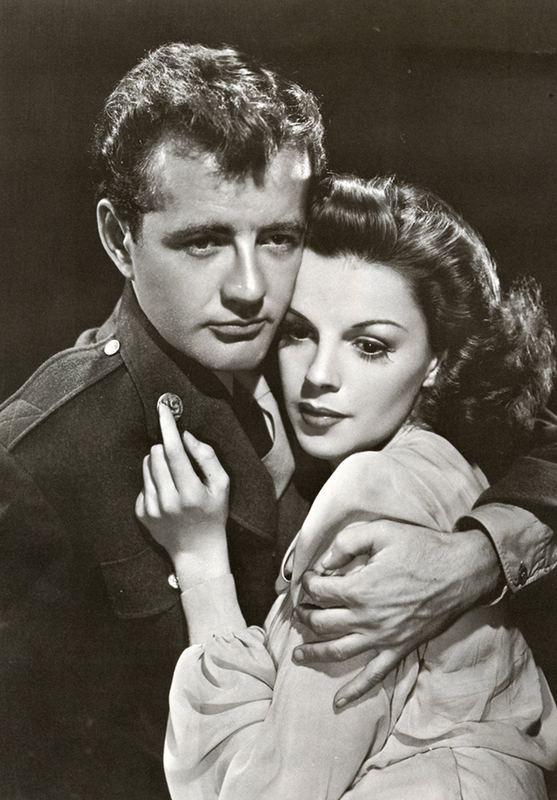 Judy starred in the film between her work on Love Finds Andy Hardy and the beginning of work on The Wizard of Oz. The Swing Fever project noted here was renamed Everybody Sing. 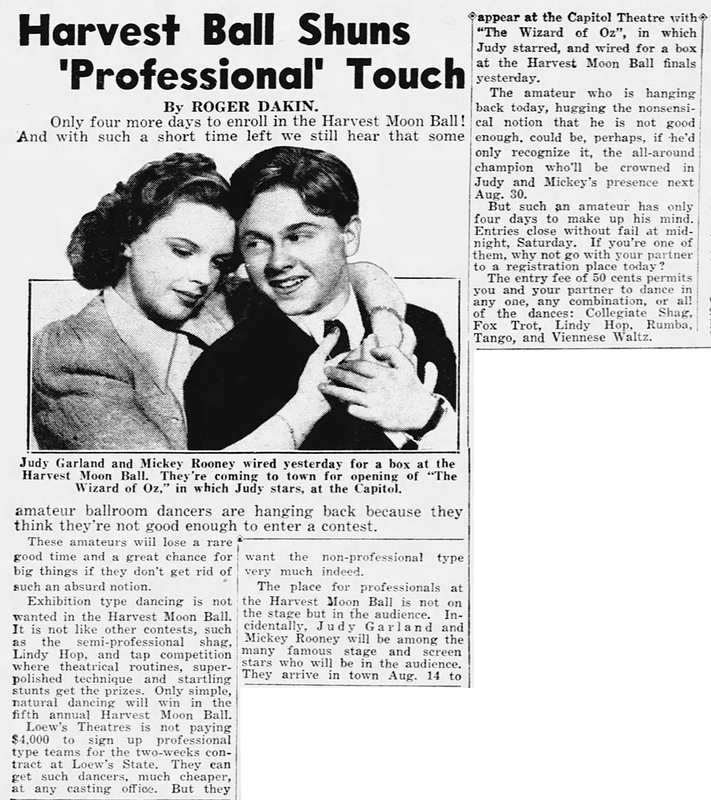 August 2, 1938: The series above ran daily promoting Love Finds Andy Hardy by giving a synopsis of the film. 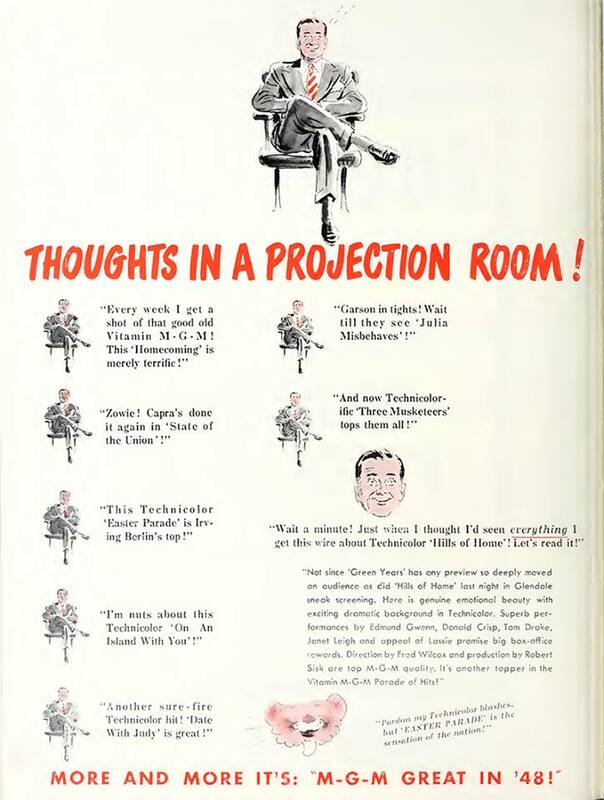 These panel series were very popular and ran almost daily featuring various films from various studios. 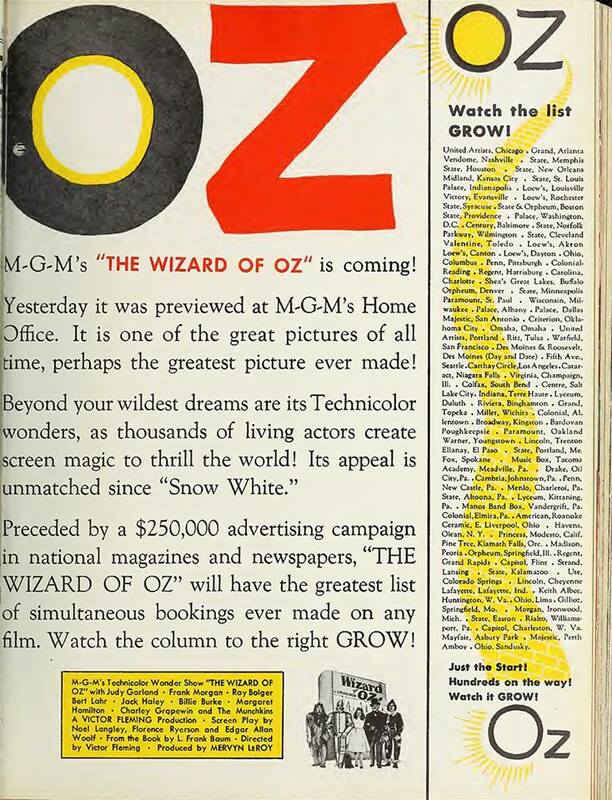 August 2, 1939: This ad appeared in the Film Daily trade magazine. 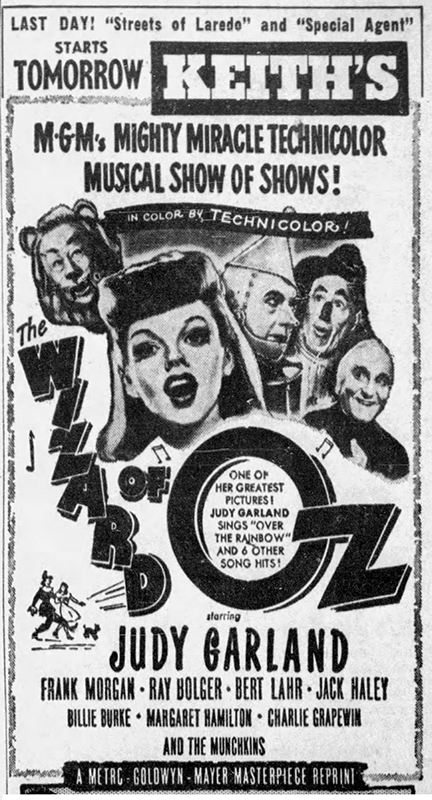 Things were gearing up for the New York premiere of The Wizard of Oz, with Judy and Babes In Arms co-star Mickey Rooney performing on stage between showings of the film. This article details the Harvest Moon Ball of which the duo was scheduled to attend. 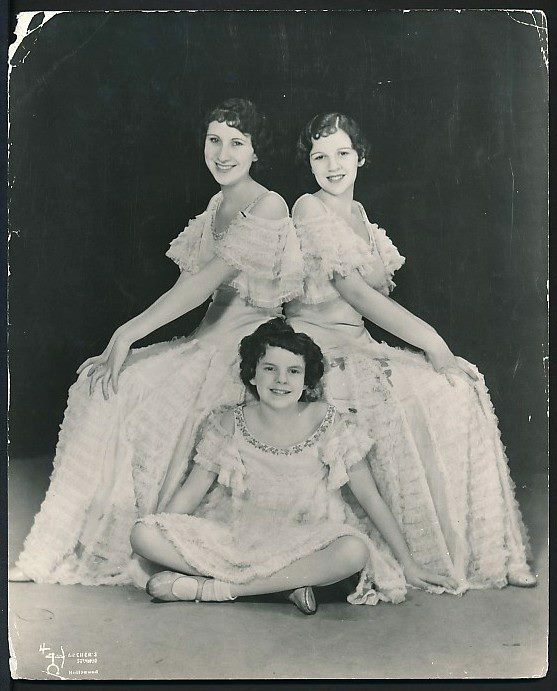 August 2, 1940: A rare instance of Judy’s mom, Ethel, standing up for her daughter. 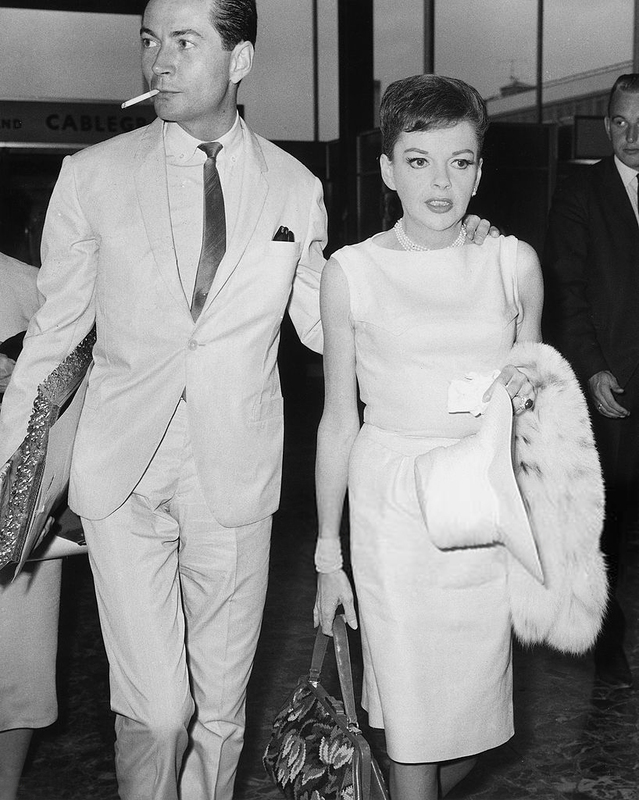 She advised MGM that Judy could only work eight hours a day. We all know how well that went over! 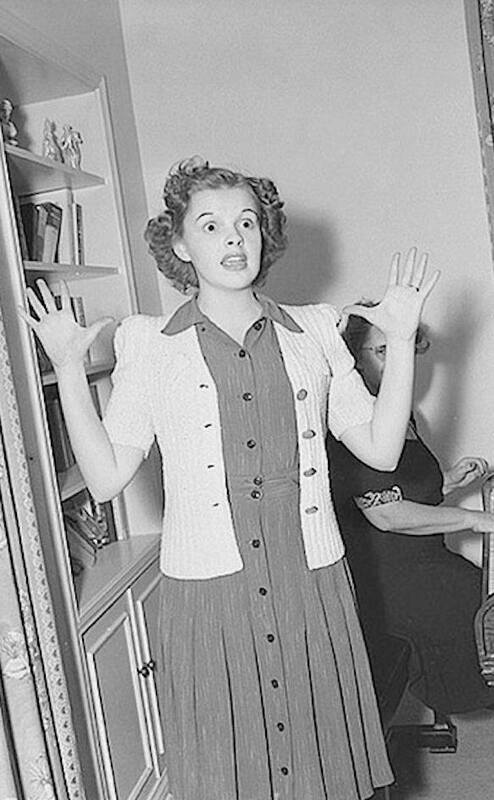 On this day, Judy did indeed have a fairly short day at the studio, filming scenes on the “Exterior Noonan’s Cottage and Road” set for Little Nellie Kelly. 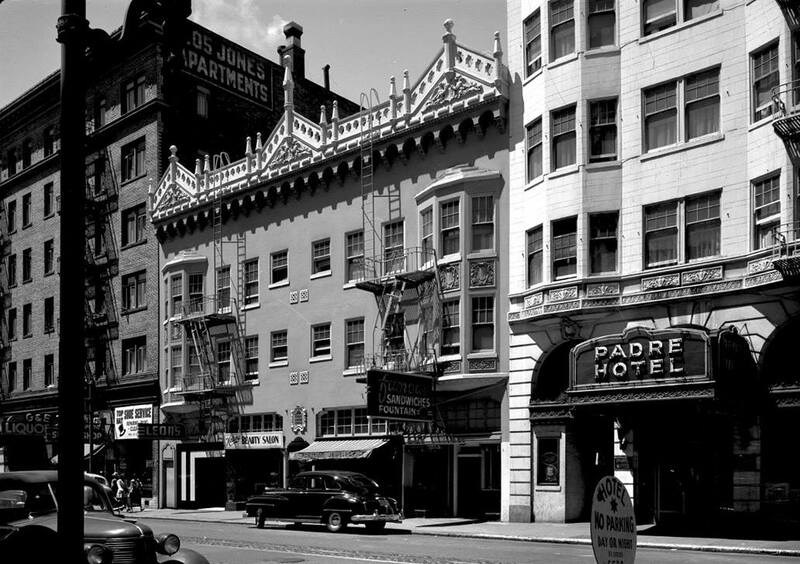 Time called: 8:30 a.m.; dismissed: 5:45 p.m.
August 2, 1944: Filming on The Clock continued with scenes on the “Exterior Arcade”, “Drug Store”, “Tony’s Shop” and “Interior Tony’s Shop” sets. 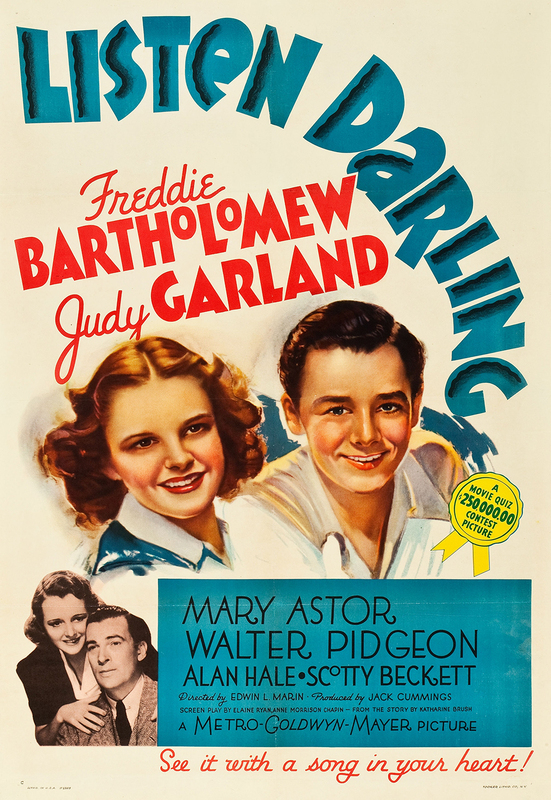 Time called: 11:30 a.m.; time dismissed: 5:50 p.m.
August 2, 1947: Columnist Dorothy Kilgallen incorrectly reported that June Allyson would replace Judy in Easter Parade. Lucky for us that didn’t happen! 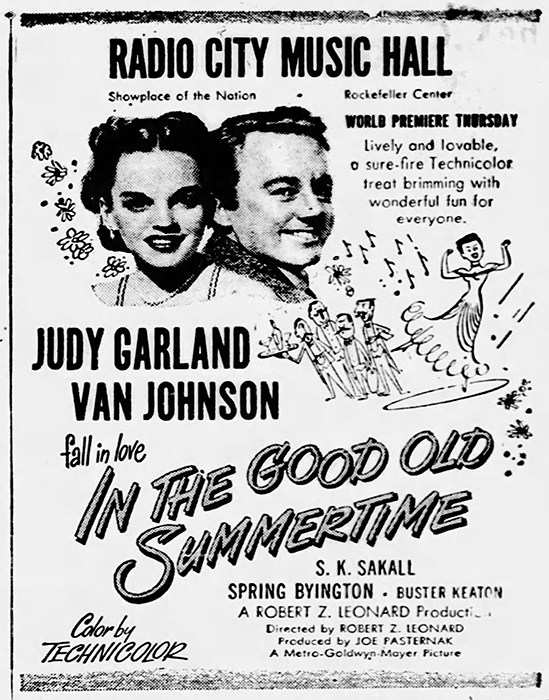 August 2, 1948: Easter Parade is noted in this trade ad for the “Independent Film Exhibitors Bulletin” publication. 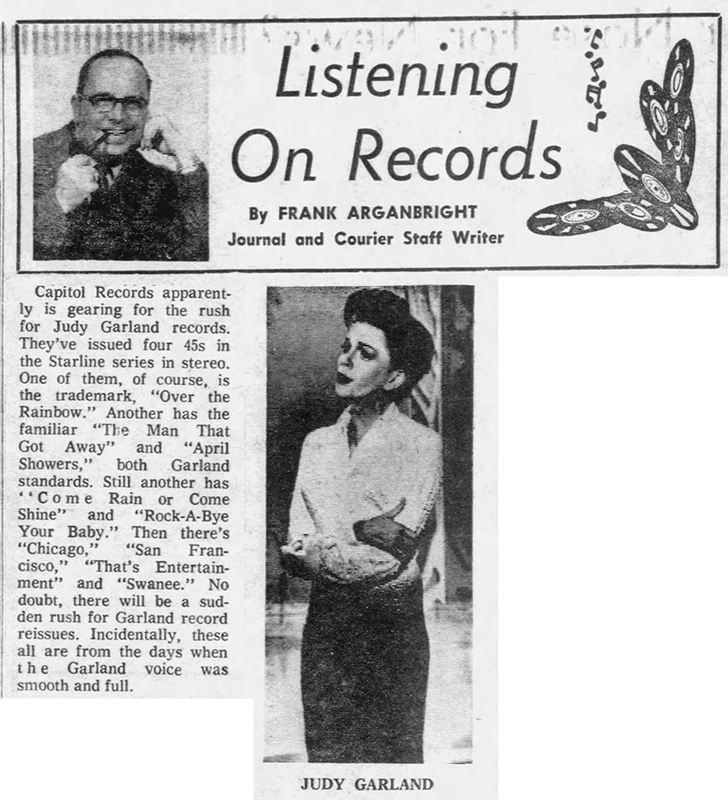 August 2, 1949: “Judy and the Handlebars” – Two Garland hits, one “old” and one new playing at a theater near you. 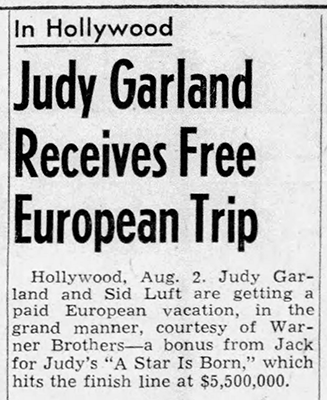 As a gift for finishing the film, Warner Bros. studio chief Jack Warner took Judy and husband (and A Star Is Born producer) on a three-week European vacation. 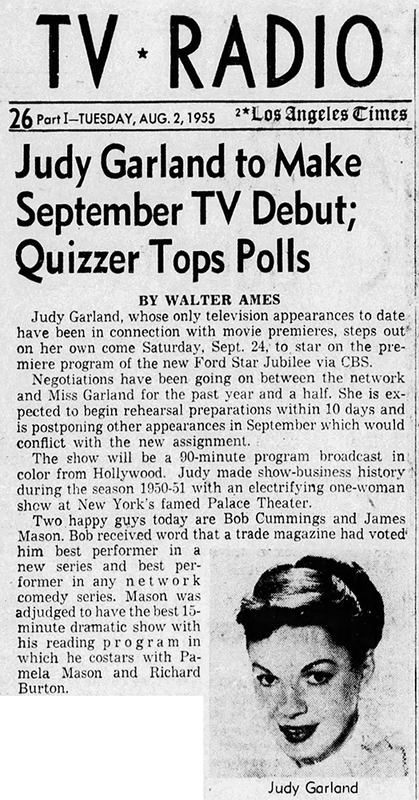 August 2, 1955: Judy ended the rumors as to whether she would sign with a network to make her television debut. 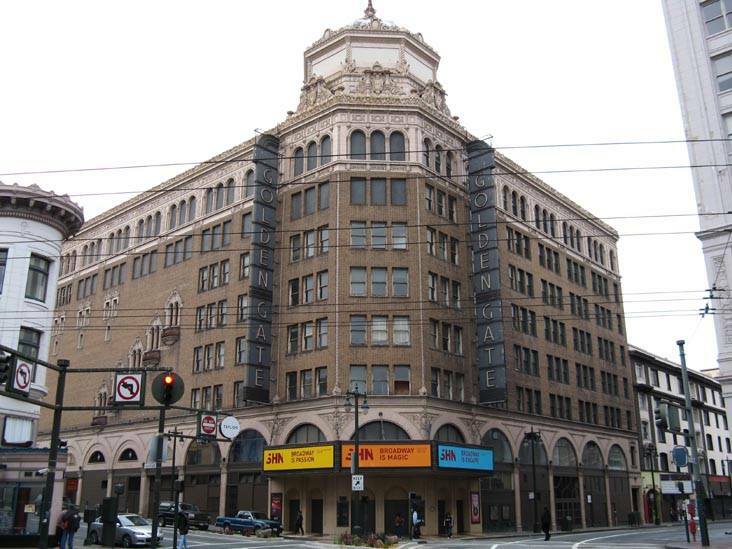 Columnists had speculated about when she would debut almost immediately after her triumph at The Palace Theater in 1951. 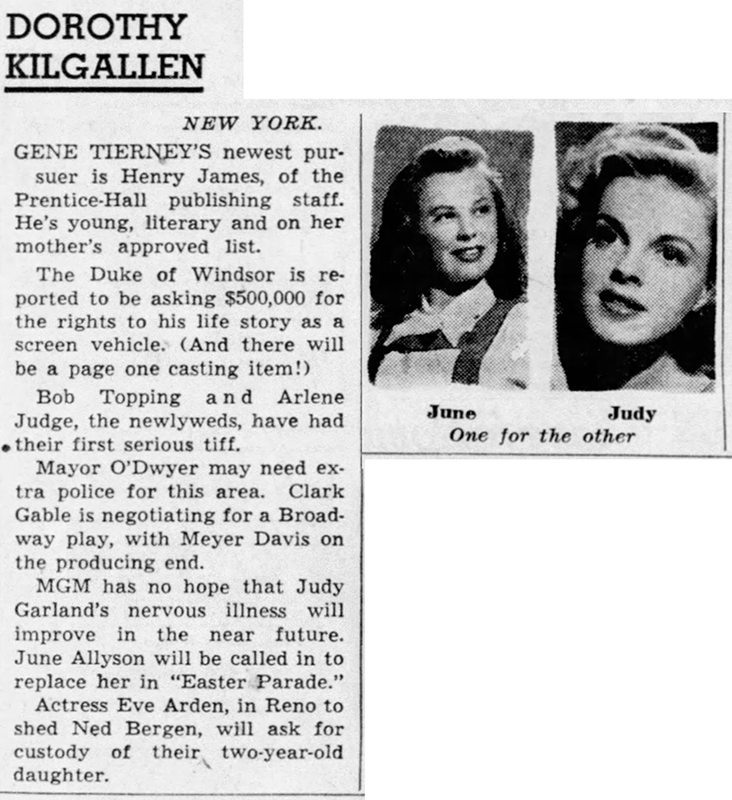 Judy had been scheduled to tour for several more months with “The Judy Garland Show” but canceled the rest of the tour after signing with CBS-TV to premiere their “Ford Star Jubilee” program on September 24, 1955. 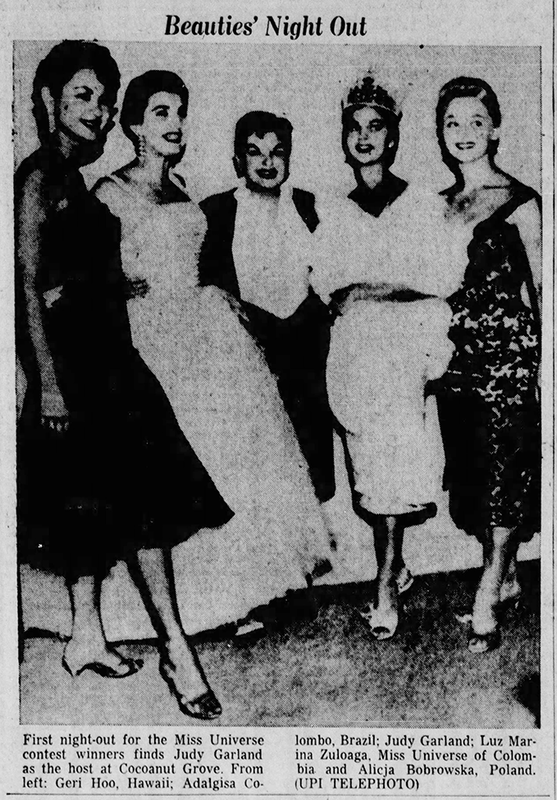 August 2, 1958: Judy was in the final nights of her engagement at The Coconut Grove in Los Angeles where she posed backstage with this bevy of “Miss Universe” beauties. 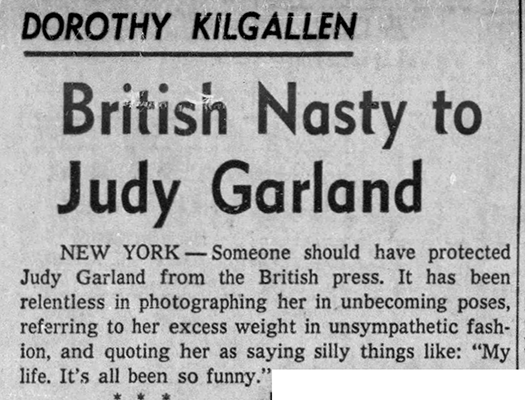 August 2, 1960: Columnist Dorothy Kilgallen notes how harsh the British press could be towards Judy. 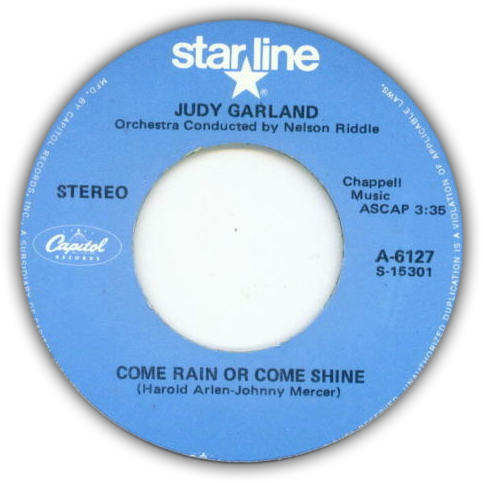 Judy later joked about it, turning it into one of her funny anecdotal stories. 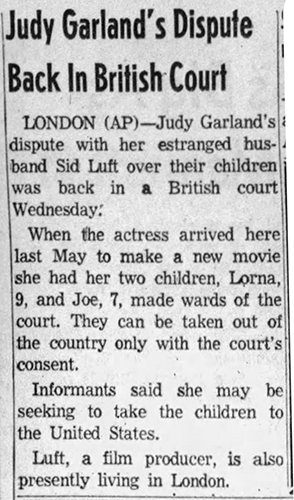 August 2, 1962: Newspapers reported about Judy being back in the British courts fighting husband Sid Luft in their ongoing custody battle over their children Lorna and Joe Luft, on August 1st. No statement was given by either side after the closed hearing. Science Museum Photo Studio Date: 06/03/2005 Colour Profile: Adobe RGB (1998) Gamma Setting: 2.2 Please note: This image is not currently fully processed. 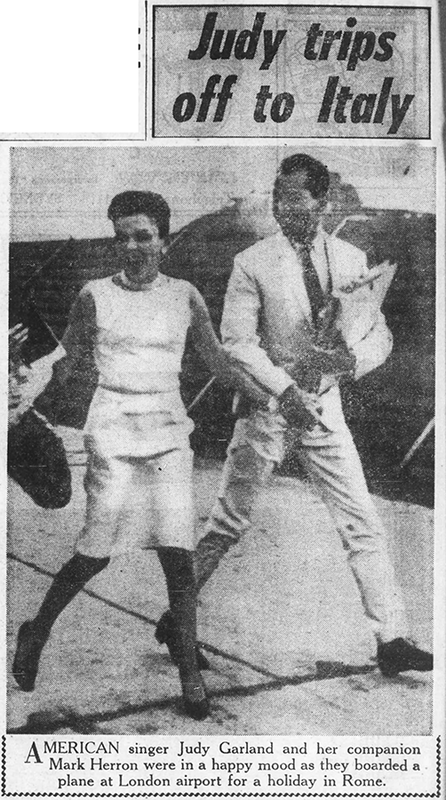 August 2, 1964: Judy and her “companion” Mark Herron headed from London to Rome for a short vacation. 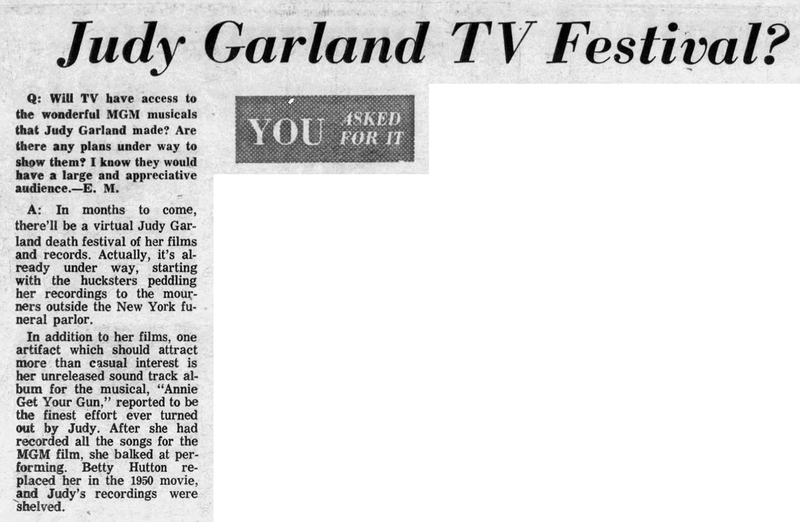 August 2, 1967: Columnist Earl Wilson reported on “The Garland Cult” which had more or less taken up residence at The Palace in New York where Judy was in concert through the end of the month. 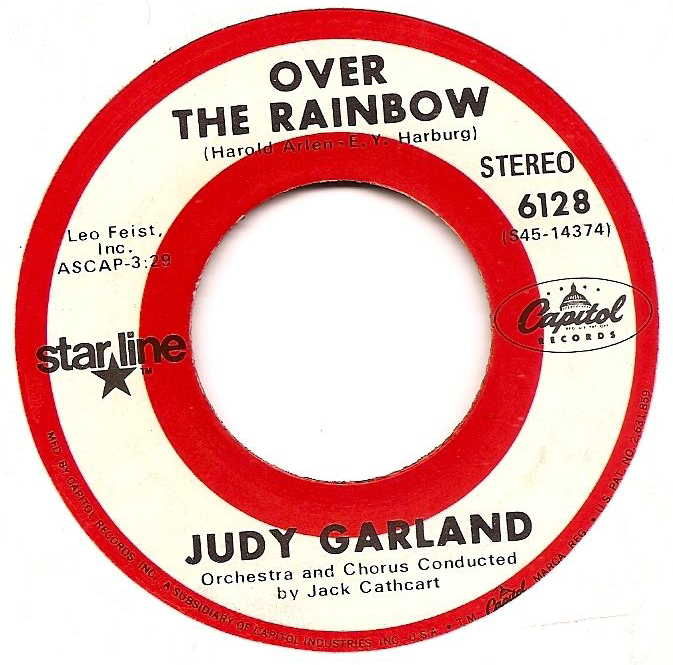 By this point in Judy’s career, the “cult” was being written about almost as much as her performances, and it wasn’t very flattering. 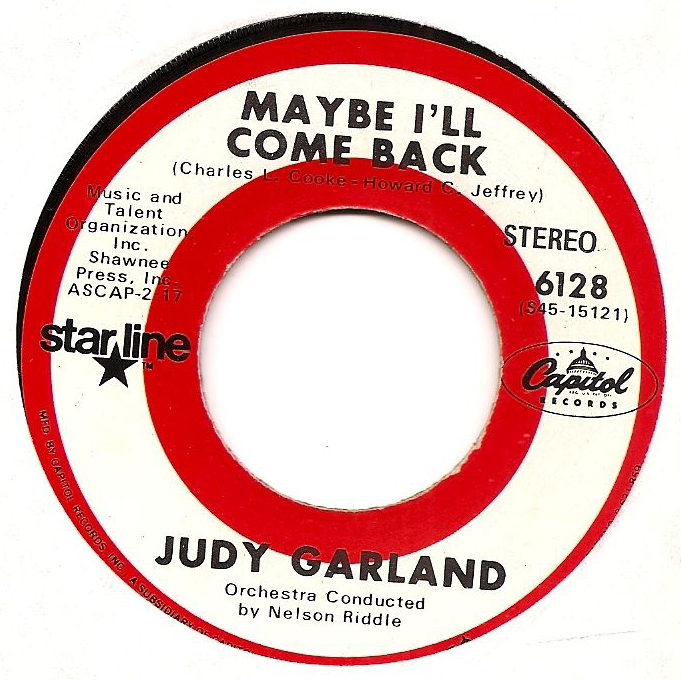 August 2, 1969: Judy’s recent death resulted in the re-release of her recordings as well as showings of her films on TV. 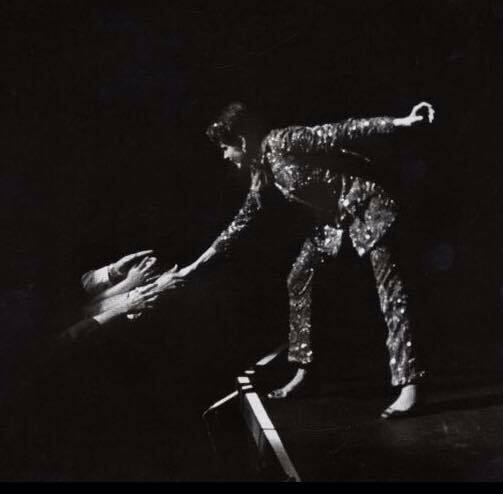 The first column above notes that her unreleased recordings from Annie Get Your Gun might be released. 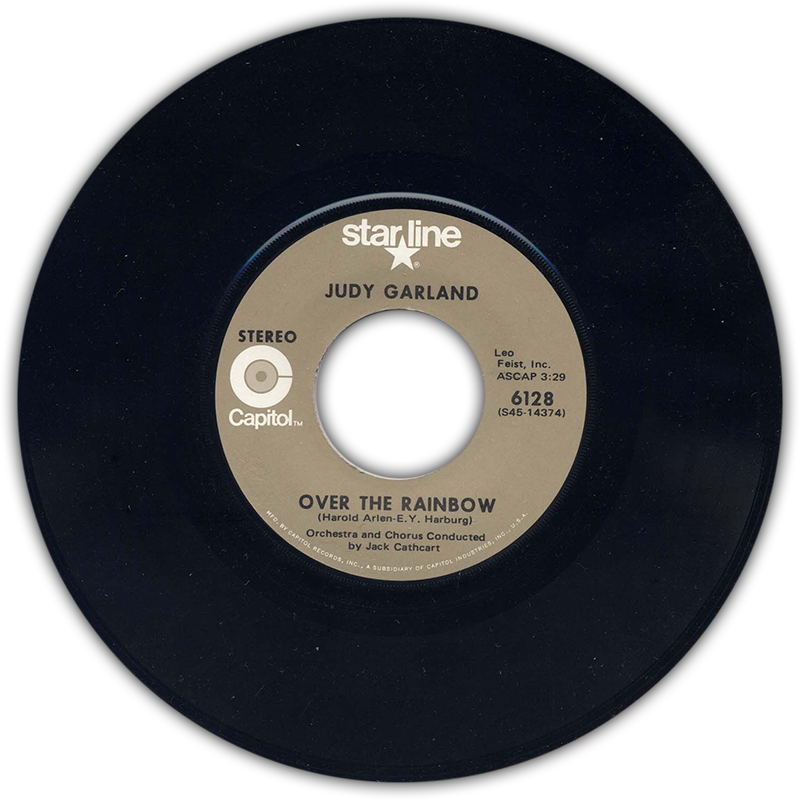 The second column notes that Capitol Records released new 45s of some of Judy’s performances.